To find an appropriate color transform is necessary and helpful for the applications of color images. In this paper, we proposed a new scheme to find color transforms close to the optimal transform and agree with human vision system for comparison. 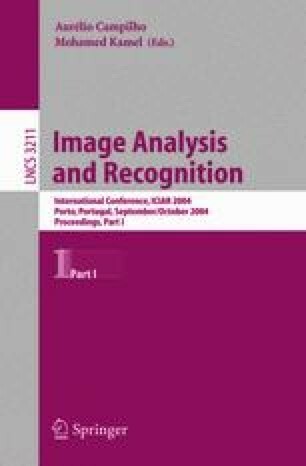 We first apply the perceptually uniform color space transform to convert RGB components into uniform CIE LAB components, and then use principal components analysis (PCA) in the uniform space to find the image-dependent optimal color transforms (KLT) for each test image group and for all the images in all the groups. With the KLTs, an approximate but image-independent transform in CIE LAB space is presented, namely LAR, which is just the LAB space rotated and has an elegant and simple form. Finally, we apply it to image compression, and our experiment shows that LAR performs better (PSNR about 4dB higher) than the default color transform in JPEG 2000. This work was supported by the Foundation for the Authors of National Excellent Doctoral Dissertation of China, under Grant 200038.